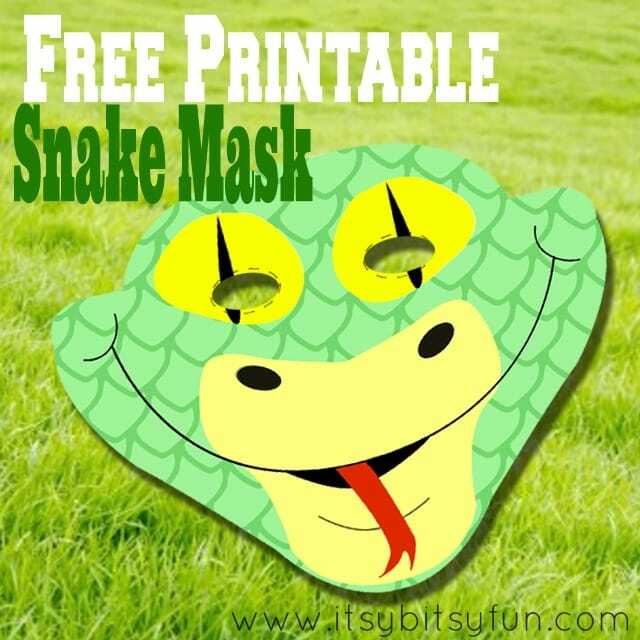 A Friendly printable Snake Mask is waiting for your kids to have fun with! Are you afraid of snakes? I was for a long time but it all changed in one evening when I was dared to hold the king snake. I did and I fell in love (not so much to have one as pet at home but still). In that instant all of my fears and stereotypes I had about these animals went away (I always though they would be slimy). I still freak out if they get to close to me in nature though. But let’s get to something less scary. A printable mask for instance. This little fellow has a smile on his (or her) face so you know he’s a lovable fellah (or gal) . I don’t know why but I think his name is Freddy. He looks like Freddy. This one isn’t poisonous so the kids can play with it as much as they like to.